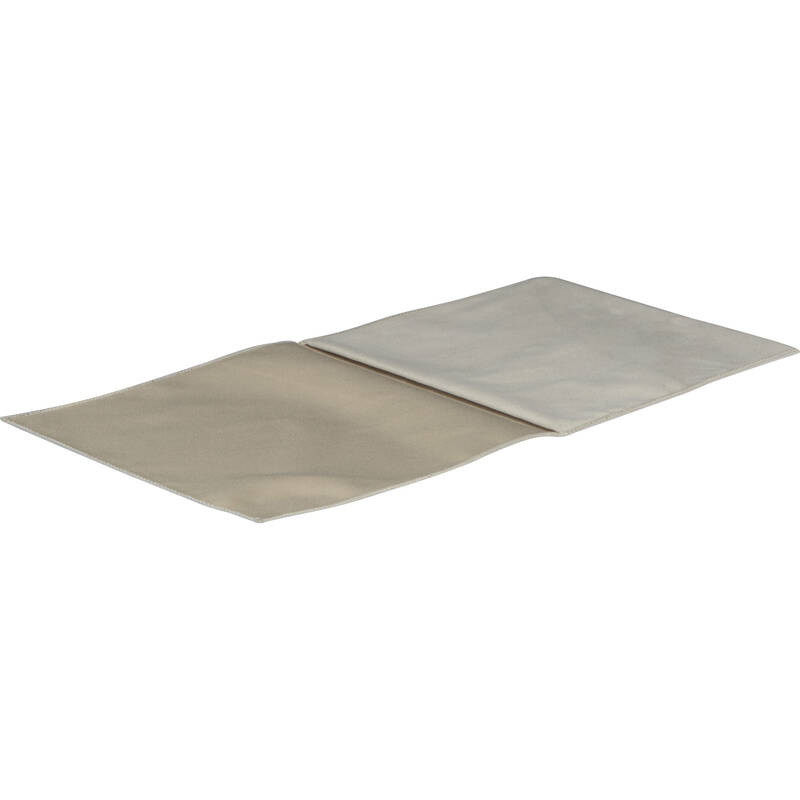 The tan SW150 Filter Wrap from LEE Filters provides one pocket to store and protect a filter that measures up to 150 x 170mm and is used by the LEE Filters SW150 or SW150 Mark II Filter Holders. The pocket helps keep a filter placed within the wrap dust, dirt, and smudge free while providing some cushioning when transporting a filter within a larger bag or case. The wrap's non-abrasive microfiber surface prevents scratching and may be used as a cleaning surface for filters, lenses, eyepieces, or other optical equipment. This wrap measures 7 x 18" when opened and 7 x 6" when folded. Box Dimensions (LxWxH) 6.4 x 6.3 x 0.3"
SW150 Filter Wrap is rated 4.7 out of 5 by 3. Rated 5 out of 5 by Jason P. from Great Product Very well made. I put the filters in these bags then into the Lee filter case to ensure no dust/dirt/debris gets to them. I would like to order more than two but your system will only let me order two. Makes no sense? Please call us at 800.606.6969 or 212.444.6615. A phone agent could take an order for more than two LEE Filters SW150 Filter Wraps. You could also send us an email to sales@bhphoto.com. Email is not secure so do NOT include payment information. Will this fit the lee landscape circular polarizer and big stopper?